David Bowie, one of our favorites here at Buffalo Exchange, passed away two weeks ago. In honor of his amazing legacy we decided to explore the history of glitter rock (more commonly known as glam rock) and the fashion icons that inhabited the movement. 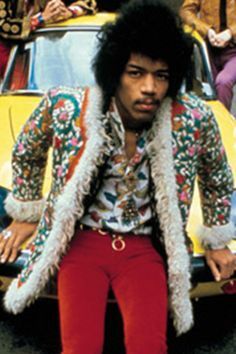 A more androgynous, gender-neutral style of dress became prominent in the late 60s, thanks to artists like Jimi Hendrix and Led Zeppelin. The New York Dolls penetrated the early 70s punk scene with their crossdressing antics. Marc Bolan, lead singer of T-Rex, spearheaded the revolution by wearing feather boas, top hats, and glitter on his face during performances. 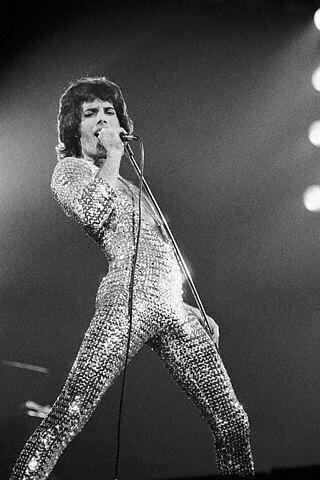 It was when his fans began to emulate his look at shows when the glitter rock movement took off. Soon to follow was his friend, David Bowie. Because of a mutual manager and producer, Bowie (then known as Davie Jones, later changing his name to avoid confusion with the Monkees frontman) adjusted his Brit-pop aesthetic to the more androgynous, space-age idol we’re more familiar with. Having renamed and re-branded himself, Bowie started to explore the world that theatrics and rock and roll had brought together and begun to create. 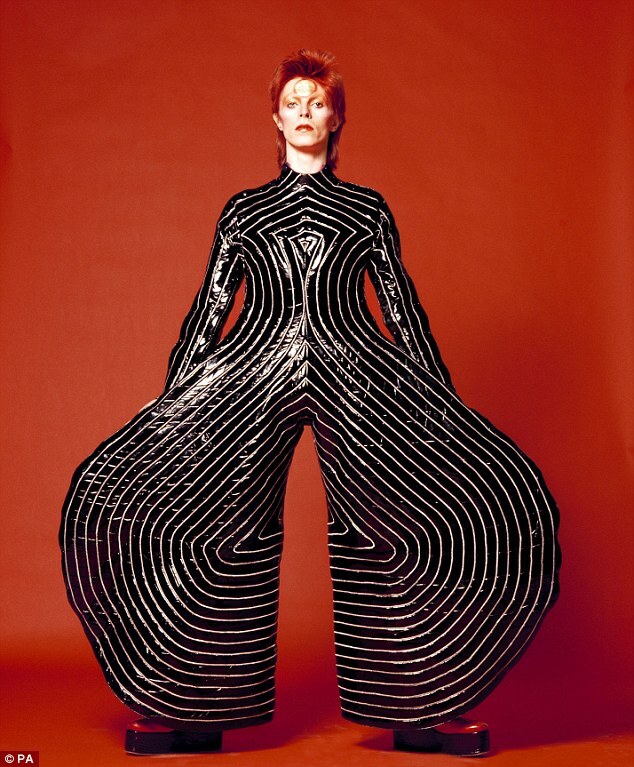 With Space Oddity he was finally brought to the mainstream as well as his outlandish performance style, which included make-up, platforms, and sequined jumpsuits, and he was able to create his alter-ego Ziggy Stardust. An up-and-coming photographer, Mick Rock, came upon respective phenomena Ziggy, Iggy Pop and the Stooges, Debbie Harry, Freddie Mercury, and Lou Reed, who had been trying to revive his career after the disbanding of The Velvet Underground in the early 70s. 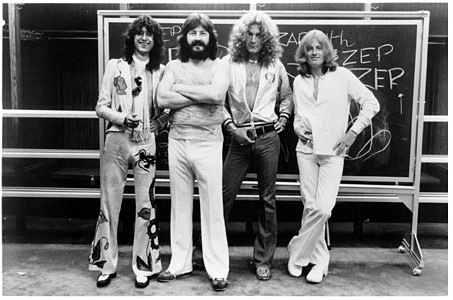 They became his effective muses, and their showmanship on and off the stage became the basis of the infamous photography collection called Glam: An Eyewitness Account. 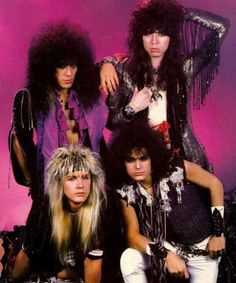 The homonormativity of the 70s gave way to excessive masculinity of the 1980s, although popular groups like Kiss, Motley Crue, and Cinderella paid homage to their androgynous ancestors through overstated make-up, jumpsuits, platforms, and long, crazy, teased hair. 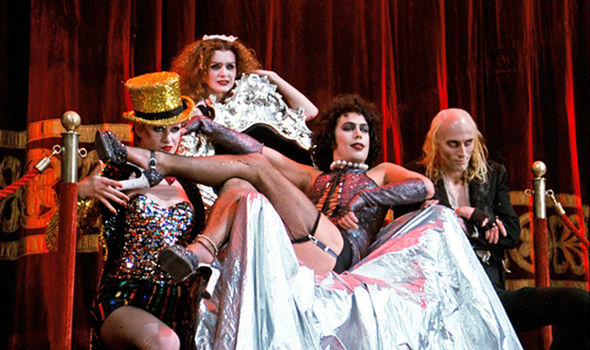 Stage performances became more exaggerated and theatrical, while the musicianship became even more mainstream. 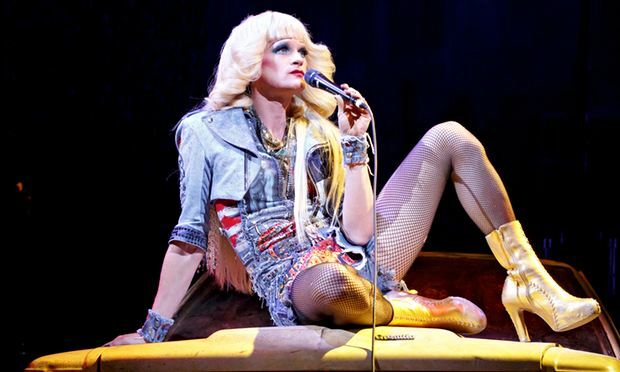 The glam rock movement even made its way onto Broadway, and shows like The Rocky Horror Show and Hedwig and the Angry Inch became such popular cult hits that they each got their own film adaptations. Today, modern glam rock artists like Hammered Satin and The Darkness draw heavily aesthetically and stylistically from their forerunners, and thanks to their iconoclastic, nonconformist attitudes glam rock is most definitely here to stay. Rock, Mick. Glam! an Eyewitness Account. Grand Rapids: Vision On, 2006. Print. First Friday was a huge success here at Buffalo Exchange this month. We had the pleasure of hosting the work of Boulder fine artist Sarah Colbert, and Matthew Reyer, up and coming local fashion powerhouse behind the label Black/Tuesday. Their respective works perfectly complemented each other in simplicity and minimalism, and Deep Eddy Vodka topped the night off with cocktails. We had a chance to sit down and chat with the artists about their respective displays. Matthew Reyer and Sarah Colbert. Sarah Colbert got her artistic start at age twelve, and her strong background in craft work has begun to play a major part in her work as of late. Initially more of a 2D artist and painter, the works of Sheila Pepe and Ron Nagle in particular were significant in her switch to 3D sculptures. This series is all about "creating an interesting [relationship] between soft materials and hard materials", or creating a play on how we aesthetically perceive certain things. Organic materials such as dirt, moss, fur, and even dryer lint are handles in a very intricate and intentional way, combined in various ways with wood, ceramic, and other hard materials gives the delicate, miniature sculptures an excitingly eclectic and creature-like feel. Ms. Colbert says that she would like to start moving more into installation pieces, "playing more with the space the art is in rather than the pieces themselves." As for inspiration outside of her are of expertise? "Bjork is one of my favorite musicians, she's an artist in a lot of different ways that I'm not...she's very true to herself, and her fashion sense is amazing." Sarah's work will be in our gallery for the month of November, and you can see more of her work on her website sarah-colbert.com. Matthew Reyer created Black/Tuesday, a very minimal high fashion men's line. He lists Daniel Patrick, Stampd, and Rick Owens as his major aesthetic influences, as well as a hint of Goth. Reyer's minimal lifestyle in general also has a lot of influence on the work he produces. Black/Tuesday blends the simplicity of both east and west coast style; black and white basics with a touch of androgyny makes the label stand out among the Denver fashion scene. Steadbrook, men's streetwear boutique, is on Reyer's list of local favorites. If you missed the pop-up shop but still want to purchase Black/Tuesday merchandise, visit blacktuesday.us.